Body Donors: A Final Gift of Teaching As part of a series on the end of life and the gift of teaching, NPR's Melissa Block talks to people who have offered to donate their bodies to medical science. It's one of the most personal choices someone can make — deciding to give one's body to medical science. As part of a series on the end of life and the gift of teaching, NPR's Melissa Block talks to people who have have offered to become body donors. Rhonda Disbrow, 40, a hair stylist who lives near Baltimore, recently mailed in a one-page form authorizing the Anatomy Board of Maryland to use her body for medical education and research. Some conservative friends and acquaintances questioned Disbrow's decision on religious grounds. "My answer to that is I believe in God, I consider myself a Christian... Thinking that the contribution could help modern medicine and modern research makes me feel really good. Once my spirit is out of this vessel, if it can help, they can use it." Whether one can be both a body donor and an organ donor varies from state to state. Ronn Wade, director of the Anatomy Board of Maryland, says that in his state there is no conflict — one can be both a body donor and an organ donor. In Maryland, when a donor has organs suitable for transplant, those organs will first be retrieved by an organ procurement organization before the body is given to the anatomy board. The body is still suitable for a multitude of uses, including orthopedic training, reconstructive surgery, and ear and eye surgery. In many other states, however, individual medical schools administer their own body donation programs. And Wade says most schools (including the Weill Medical College of Cornell University where Jan Stribula is a body donor), want to receive the bodies largely untouched, as they are primarily used for anatomy courses. And the uses are many. The Maryland anatomy board receives about 1,500 donor bodies a year. About 300 will end up at medical schools for anatomical dissection. The rest will be used for medical training for paramedics or doctors — gynecologists might practice laparoscopic hysterectomies or orthopedists might work on hip or knee replacements. Or researchers may study the brain of an Alzheimer's patient. There have been scandals. UCLA suspended its willed body program last year, after the director of the program was arrested on suspicion of trafficking in body parts. Tulane University was sued after it transferred bodies to a middleman who then sold them to the Army for land mine experiments. Ronn Wade, who overseas the Maryland body donation program, says the majority of those who donate their bodies are women. Most have families and at least a high school education. Many don't have a strong family tradition of a classic funeral — and are happy to save that expense. Above all, Wade says, the donors want to promote learning. "This is the legacy they can leave behind for the next generation," he says. 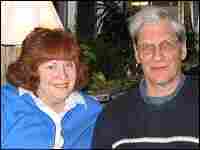 Jan Stribula, 56, of Ridgefield, Conn., has decided to donate his body to the New York City hospital where he was born. For him it's like "completing the circle, somehow, going back to the same place," the civil engineer says. His wife Mary, 58, is also considering donating her body. The hospital social worker became more interested in becoming a donor after seeing her mother suffer from dementia, and learning about the ways in which post-mortem studies of the brain might lead to medical advances. "It really made me understand that there really are things that our body can do after we've died that could be very helpful to people," she says. Body Donation Programs Around the U.S.